And, this latest model is not only an outstanding value, but also one of the most attractive models available with a modern design, quality fit and finish, and outstanding structural integrity. The coil uses a rifled, refrigeration-grade copper tube and aluminum fin coil construction for maximum durability and heat transfer. All Goodman air conditioning condensers are designed for ground level or rooftop mounting with bottom pan rails to elevate the unit away from moisture. The maintenance-free condenser fan motor is totally enclosed and permanently lubricated. Plus, the built-in filter dryer removes potentially harmful moisture from the system, providing protection from contaminants. The unique Goodman® Sound Control Top is designed for quiet operation. Goodman doesn't cut corners on the cabinet either - it is constructed from heavy-gauge, zinc-clad G90 galvanized steel and is designed to help prevent damage from yard debris and the elements. The special polyester powder paint finish is "baked-on", providing an extra measure of protection for years of long-lasting good looks. This construction design looks great in any architectural environment. In addition, the unit has an attractive louvered metal guard that protects the coil from damage plus a powder-paint finish that provides premium durability and improved UV protection. 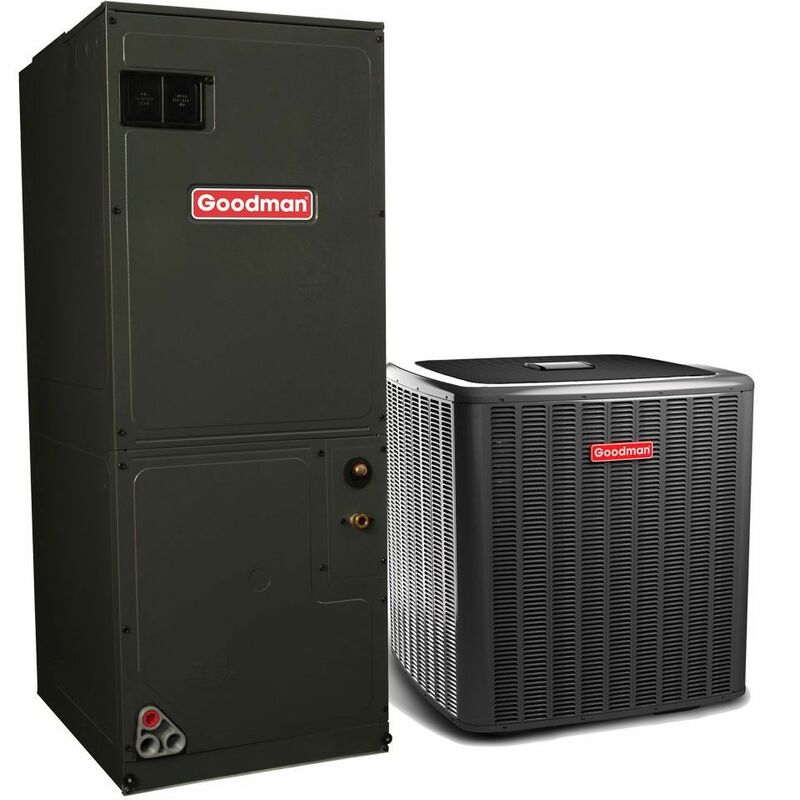 These high-quality components ensure that your new Goodman air conditioning system will comfortably cool and dehumidify your home for years to come. The last thing you want is to hear a noisy air conditioner starting up at night. Goodman understands and builds each unit to ensure that your air conditioner won't interfere with a good night's sleep. The result? Quiet and smooth operation that won't disturb you and your family. Don't be fooled by the affordable price tag - Goodman is a leader in home heating and cooling systems. In fact, Goodman is the second largest HVAC manufacturer in the world providing the longest and most comprehensive warranty's in the industry. Every single unit is run-tested before shipment and leak-tested three separate times during the manufacturing process to ensure a trouble-free installation. To save costs at installation time the system is pre-charged with R-22 refrigerant for up to 15-20 feet of tubing. 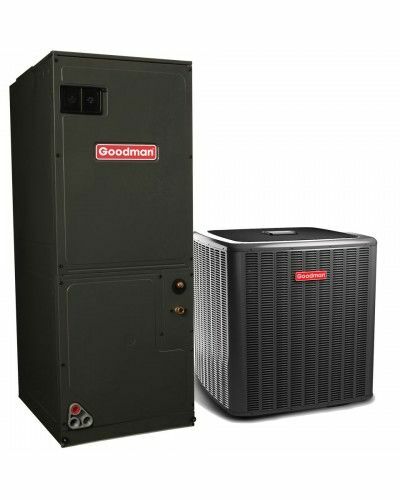 The new Goodman GSX series air conditioners offer affordable, reliable, and quiet operation you can count on year after year. Continuous flank contact, maintained by centrifugal force, minimizes gas leakage and maximizes efficiency. Radial compliance allows the scroll members to separate the presence of liquid refrigerant or debris, thereby substantially improving durability and reliability. Axial compliance allows the scroll to remain in continuous contact in all normal operating conditions, ensuring minimal leakage without the use of tip seals. Both radial and axial compliance allow the scroll members to actually wear in rather than wear out.